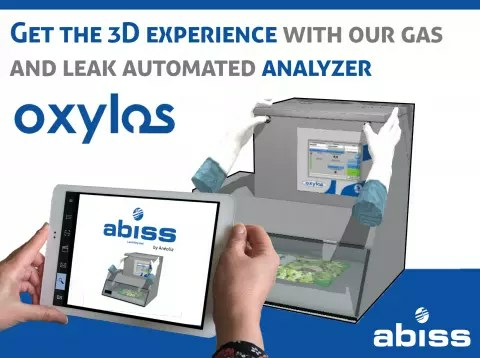 Get the 3D experience with our gas and leak automated analyzer. With ARTEFACTO agency, you can find our quality control automaton, the OXYLOS, in 3D on the “Packaging Line” application. This attractive experience is ideal to discover our device. 1. Download “Packaging Line” app on Apple Store® and Google Play®.